Real news organizations frown on their reporters or pundits being cozy with political leaders. Fox doesn’t. They do not allow themselves to be used as platforms for racists, misogynists and cranks. Fox does. Last week, the Democratic National Committee, citing a recent story in The New Yorker that painted the network as a propaganda machine for the Republican Party and its lamentable leader, said no. It pointedly disinvited Fox from hosting any of the forthcoming Democratic primary debates. The first is that the DNC’s critics are right in calling the party disingenuous for tying its decision to The New Yorker piece. Though the story supplied new color and detail, it told us little we didn’t already know about Fox’s incestuous relationship with the GOP and President Donald Trump. It’s worth noting that Fox hasn’t been allowed to host a Democratic debate in more than 15 years. But those two rights don’t make a wrong. And to pretend the DNC’s disingenuousness and Smith’s journalistic credibility are mitigating factors here is to miss the point. 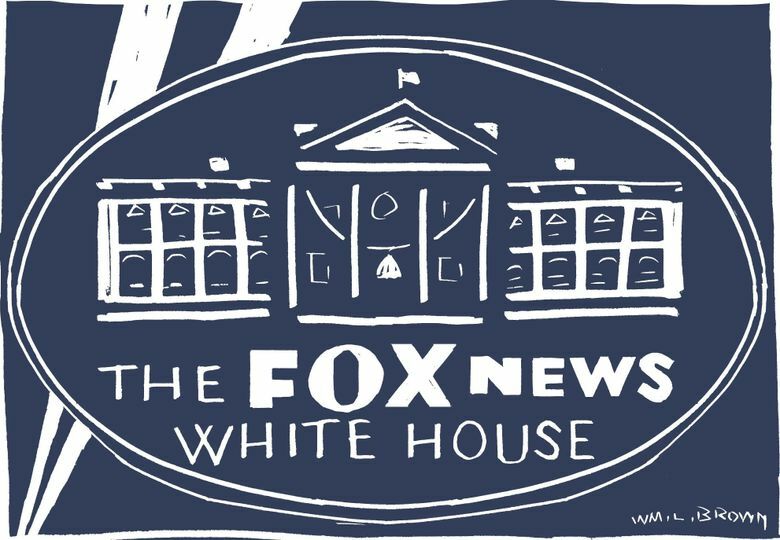 Namely, that Fox does not deserve to be treated as a legitimate news organization because it violates journalistic norms daily, almost hourly. Yet these critics are implicitly asking the DNC — and, by extension, us — to forget all that, to legitimize and normalize Fox and to ignore what a bizarre outlier, what a clear and present danger it is. To which, the only patriotic answer is no.